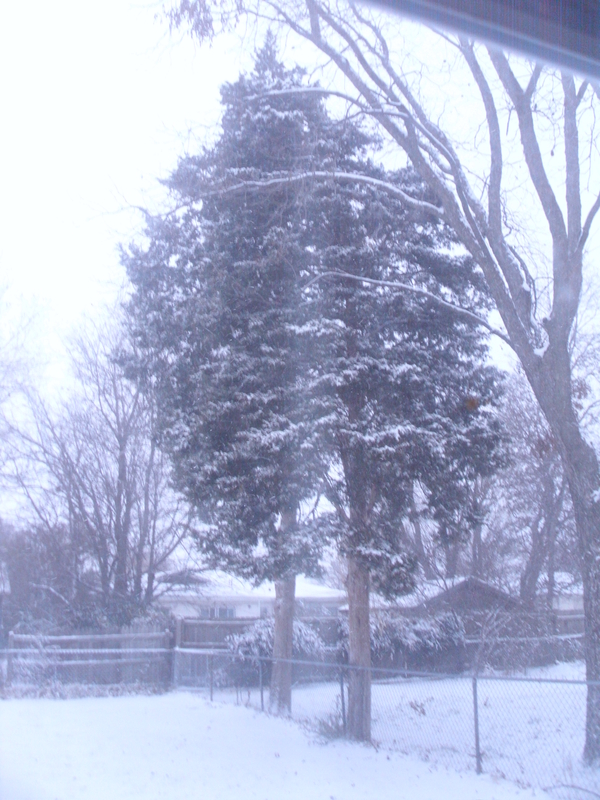 The juniper trees in the vacant lot next door. Because I have no trees in my backyard, and these are so pretty covered in snow! The snow is still coming down, likely for the rest of the day. So pretty!